Being a success at the poker table takes a dash of luck, a smattering of psychology and a solid understanding of statistics. Since the growth of online poker caused the average IQ of poker players to increase dramatically it has become even more important to understand the numbers behind the game. Indeed, while it was once possible for players to make money with a touch of experience and a stoic demeanour, it’s now the statistically minded that rake in vast sums of money at the table. So, does this mean you need to be like John Nash (the famous math professor portrayed by Russell Crowe in A Beautiful Mind) to make money? 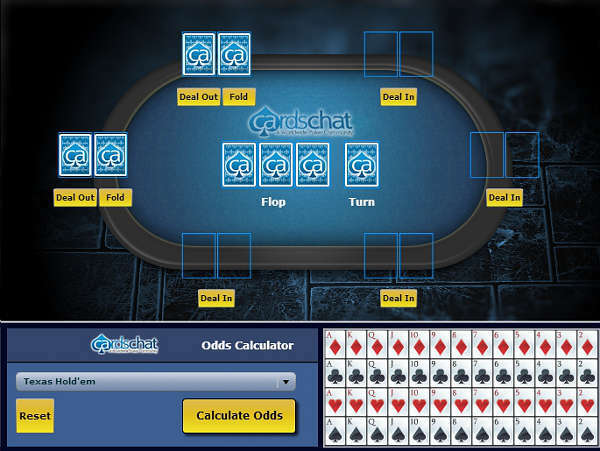 Fortunately, the answer is “no” because online tools such as the CardsChat poker odds calculator are on hand to unravel the poker’s numerical matrix. Why Do You Need to Use a Poker Odds Calculator? Although it can be an advantage to know how to perform complex equations without the aid of a calculator, it’s certainly not a necessity at the poker table. In fact, given the time you have to make decisions at the felt it’s virtually impossible to accurately work out the exact odds in each scenario. Thankfully, however, the ability to use calculators and other poker tools can help you build up a general appreciation of the numbers involved in various situations. In the same way you have a kinaesthetic awareness of where your limbs are without having to look at them, using a poker odds calculator often enough allows you to know the right move without having to look at the numbers. With that said let’s break down the basics of the CardsChat calculator and then put it to use in a selection of scenarios. 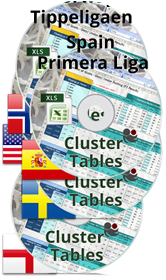 The main purpose of the calculator is to work out how often a particular hand will win, tie or lose against another, and with this particular piece of software you can compare up to six hands at once. Once you’ve set the number of hands you want to assess (you must choose at least two) you need to highlight the empty boxes and choose the two cards that will make up each hand. 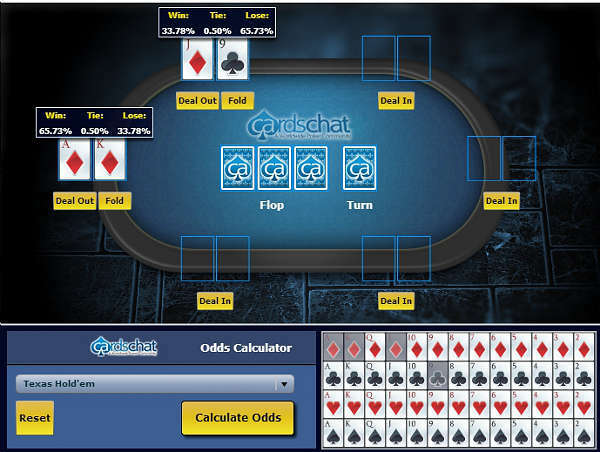 After setting each player’s hand you can hit the “calculate odds” button and the software will tell you how the hands stack-up against each other pre-flop. Looking at the scenario in the image below you’ll see that when comparing Ad Kd against Jd 9c the former will be a 65.73% favorite if all the money went in before the flop, and the five community cards were laid out. Beyond the ability to analyze pre-flop situations you can also assess the winning/losing ratios of hands on the flop and turn. The reason this is useful is because the majority of Hold’em hands don’t start and end before the flop. Thus, it’s important to understand how the changing dynamics of the board affect will alter the win/ lose percentages.